Earlier this year I posted that a new wave of drugs used to treat atopic dermatitis were about to be made available. I am pleased that at last one such drug has been made available to a small number of my patients in Manchester. Atopic eczema affects 1 in 5 children in the UK and for many years we have been restricted to a small number of topical and systemic therapies. The first of these new drugs is Dupilumab. 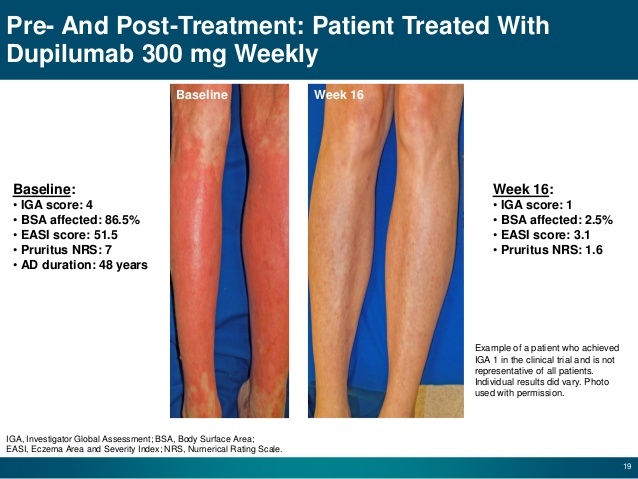 This is a fully human monoclonal antibody that works by inhibiting the signalling of IL-4 and IL-13, two key cytokines required for the immune response that are believed to be a fundamental driver of inflammation (redness and irritation) associated with atopic dermatitis. I have been able to start this treatment in a small number of my patients by using the Early access to medicines scheme (EAMS). The EAMS was established to secure early availability of innovative new unlicensed medicines to UK patients that have a high degree of unmet clinical need, and has to date largely focused on life-limiting conditions such as cancer. The inclusion of a treatment for atopic eczema, recognises how debilitating this condition can be and how much impact it can have on people’s physical and psychological wellbeing. 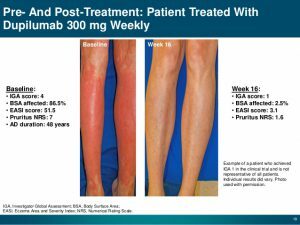 Under EAMS, dupilumab will be available to eligible adult patients who have severe AD that has failed to respond to all currently approved therapies, as well as patients with severe AD who are intolerant of, or ineligible for, all approved treatments. The drug is currently under review by the European Medicines Agency and the US Food and Drug Administration, with the latter expected to make a decision on the filing by the end of this month.